Turns out Polish people really like their pastries. 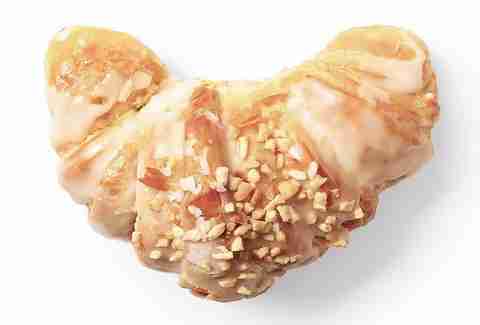 So much so, that the city of Poznań recently unveiled an entire museum dedicated to the region's signature treat, the "rogal świętomarcińki" (or St. Martin's croissant) -- a glazed, almond-topped sweetroll with a poppy-seed filling that Poles have been munching for over 150 years. So, what exactly does one do at a pastry museum, other than eat pastries, you ask? Well, museum-goers will learn all about the croissant's origin (reputedly invented in the 19thC by candy-maker Jan Meltzer as a treat for the city's poor), how it got its horseshoe shape (because someone lost their horseshoe, naturally), and be regaled by other sordid tales of making puffed desserts throughout Polish history. Maybe. Not only that, but at the museum's "croissant shows", visitors will see how the perfect rogal's baked, and, of course, taste them. Croissant enthusiasts can book their visit here. Chloe Pantazi is an editorial assistant on Thrillist's travel team. She wonders if Kanye will drop by the museum some time. Follow her on Twitter at @ChloePantazi.